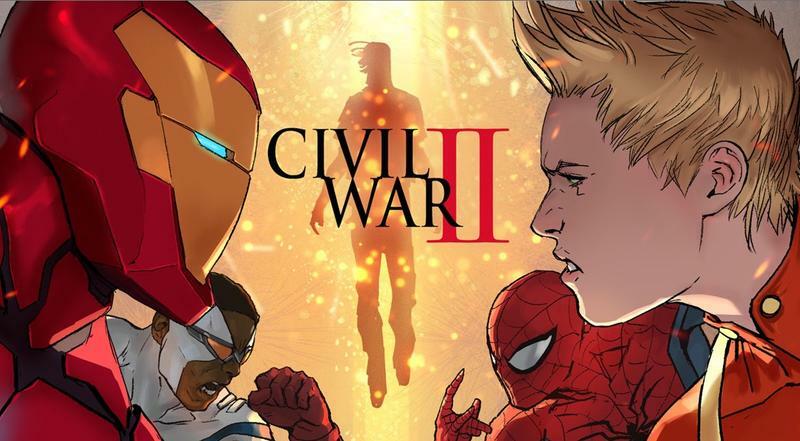 Marvel hasn't shied away from making big decisions in Civil War II, and yet another shocker is shaking up the comic book world. Spoilers ahead for those who haven't kept up with Civil War II. The Avengers have been divided over the powers possessed by an Inhuman named Ulysses, who has the ability to experience visions of the future. On the one hand, the ability is useful because it gives the Avengers the power to be proactive about what's going to happen. The flip side is that Ulysses' ability could lead to making the wrong decision. In a recent issue of Civil War II, Ulysses declared that the majority of the Avengers would be killed by the Hulk; the only problem is that Doctor Bruce Banner has been Hulk-free for a while, and he's at a point where he doesn't have to fear turning into the big green monster. Yet the vision seen by Ulysses suggests otherwise and during an argument over whether or not Banner poses a threat, he's suddenly struck down by Hawkeye. So, should we now refer to Hawkeye as a murderer? Well, it's a little more complicated than that. According to him, Bruce Banner gave Hawkeye permission months ago to take him out with a special weapon if the Hulk ever became a threat again. Now, the question becomes: was Hawkeye justified in killing Bruce Banner? We don't even know if Banner was going to turn into the Hulk. Sure, he was getting mad at the other Avengers, but he's been portrayed as a much calmer person recently, more at peace, so there's no telling if anyone was ever in danger. Bruce Banner is dead—at least for now. Comic books so often bring characters back to life that big moments like have become a lot less meaningful; it's usually a matter of when, not if, a character will come back. For now, however, he's gone, but for how long?